“The historical ground of Easter is very simple: the followers of Jesus, both then and now, continued to experience Jesus as a living reality after his death. In the early Christian community, these experiences included visions or apparitions of Jesus” (1). In other words, Jesus had not been raised from the dead as an act of God, and therefore, the Christian religion is false. 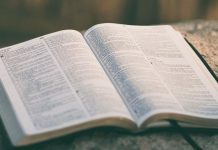 Borg still tries to give the resurrection of Jesus some significance, thus explaining it as some living reality, but the bottom line remains that if Jesus was not bodily raised from the dead then the whole story is rather insignificant. It is also worth noting that this is the most popular argument against the historicity of Jesus’ resurrection forwarded by contemporary skeptics. However, it is also one of the weakest. The first point of difficulty for proponents of the HH is that it fails to explain the empty tomb. In our previous article we saw that we have ample grounds for accepting the historicity of the empty tomb. We saw that it is very early attested in multiple & independent sources such as within Paul’s creed (1 Cor. 15:1-11), our early Christian preaching in Acts, and our pre-Markan Passion Narrative. These three sources affirm the empty tomb in a matter of few years after Jesus’ crucifixion. Further, we have independent attestation in both our Gospels of Matthew & John. Thus, we have five independent sources attesting to the empty tomb of which three are very early, and considering that historians fancy having just two independent sources for any historical event (often historical events are based solely on one source alone) (2), we are therefore on good grounds to affirm the historicity of the empty tomb. The case becomes stronger when the empty tomb narrative passes the criterion of embarrassment through women being the first discoverers. Secondly, the empty tomb is enemy attested. We can likewise hold to the historicity of the empty tomb and thus be in agreement with 75% of scholars in the field (3). Now, this is problematic for the HH simply because it fails to give a sufficient answer for the fact of the empty tomb, and only attempts to explain away the post-mortem appearances of Jesus. Since early Jewish anti-Christian polemic claimed that the disciples had stolen Jesus’ body (4) thus attesting to the empty tomb, we ought to then wonder why the Jews never produced his body to stop the early Christian movement in its tracks. This is a significant detail that requires explanation that the HH cannot account for. Habermas expresses that “if the appearances were hallucinations, then Jesus’ body should have been located safely and securely in its grave just outside the city of Jerusalem! That body would undoubtedly be a rather large disclaimer to the disciples’ efforts to preach that Jesus was raised. But hallucinations do not even address this, so another naturalistic thesis is required” (5). 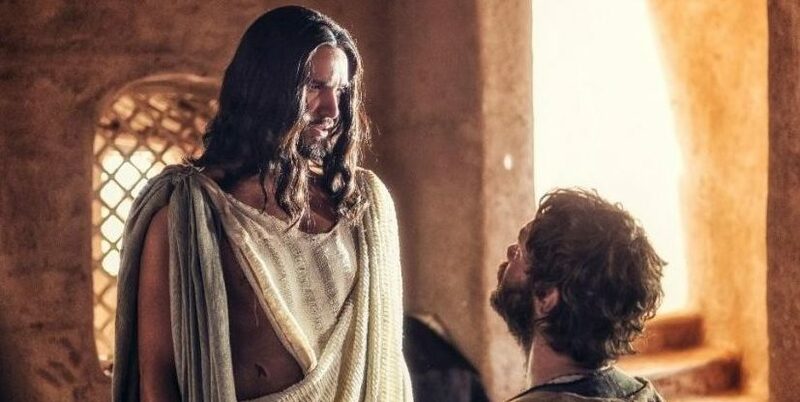 The physicality of Jesus’ resurrected body causes headaches for proponents of the HH, and they need to go to great lengths to explain them away. The risen post-mortem Jesus ate fish (Luke 24:42), he offered the disciples an opportunity to touch his resurrection body (Luke 24:39, John 20:27), had some grab hold of his feet in worship (Matt. 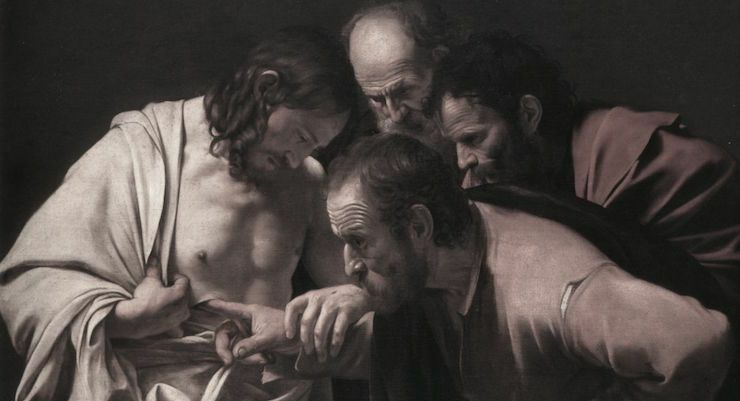 28:9), and the disciple Thomas allegedly put his finger and hand into the place where the nails had been in Jesus’ body (John 20:27). “if none of the appearances were originally a physical, bodily appearance, then it is very strange that we have a completely unanimous testimony in the Gospels that all of them were physical, with no trace of the supposed original, non-physical appearances” (6). 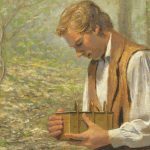 “Typical encounters with the recently deceased do not issue in claims about an empty tomb, nor do they lead to the founding of a new religion. And they certainly do not typically eat and drink, and they are not seen by crowds of up to five hundred people” (7). This soon becomes problematic for the HH as hallucinations are subjective projections from within an individual’s mind, and thus cannot be physical in nature. Furthermore, it truly stretches credulity to believe that all the disciples, including the skeptics Paul & James (who weren’t even predisposed to hallucinate a risen Jesus, as we shall see) had collective physical visions or hallucinations. By understanding the backdrop of Judaism, in which we are to interpret and understand the historical Jesus, we can confidently argue that even if the disciples had shared various hallucinations of a risen Jesus they would still not have come up with a physical resurrection. “Therefore, given the current Jewish beliefs about life after death, the disciples, were they to project hallucinations of Jesus, would have seen Jesus in heaven or in Abraham’s bosom, where the souls of the righteous dead were believed to abide until the resurrection. And such visions would not have caused belief in Jesus’ resurrection” (8). Quite clearly the disciples, Peter, Paul & James, all staunch Jews before their radical conversions, would not have assumed that Jesus had been raised physically form the dead if they merely had collective hallucinations on several different occasions. Further, not only was such a proclamation entirely un-Jewish but the very language used by the disciples designates a physical resurrection, as scholar Price explains: “the language of resurrection to explain their visionary encounters because the word resurrection in 1st century Judaism meant a transformed physical body at the end of history, a re-embodiment after death” (9). Thus, if the disciples wished to convey that these post-mortem appearances of Jesus were merely subjective projections then the Greek word horama would have been used as an appropriate candidate. However, it is absent. The believed they not only saw him, but that he rose from the dead. The risen Jesus appeared many times on several occasions to followers and skeptics alike. For example, Jesus appears to Mary Magdalene (Mark 16:9; John 20:11-18), he appears to the women making their way back from the empty tomb (Matthew 28:8-10), to two disciples on the road to Emmaus (Mark 16:12,13; Luke 24:13-35), to Peter (Luke 24:34, 1 Corinthians 15:5), and to his disciples in Jerusalem (Mark 16:14-18; Luke 24:36-49; John 20:19-23). 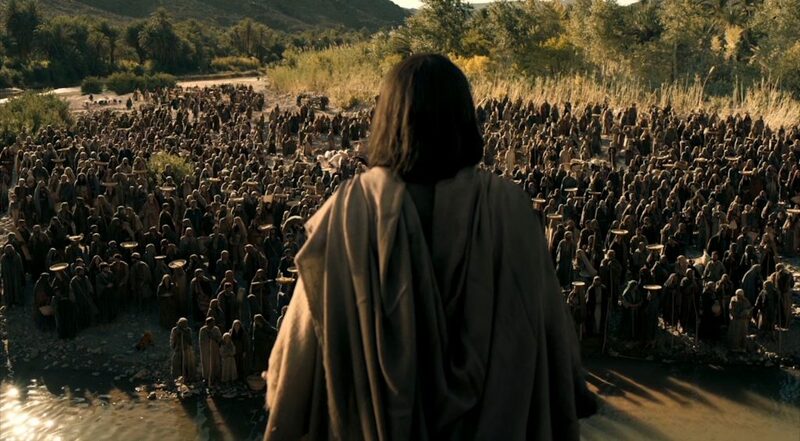 Further, Jesus appears a second time to his disciples in Jerusalem, and on this occasion Thomas is with the disciples (John 20:24-29), he also appears to his disciples on the shore of the Sea of Galilee (Matthew 28:16; John 21:1,2), to 500 believers at once (1 Corinthians 15:6), to his unbelieving brother James (1 Corinthians 15:7), to his disciples on a mountain in Galilee (Matthew 28:16-20), and soon appears again to his disciples (Luke 24:50-53). Jesus also appears to the early Christian persecutor Paul while journeying on the road to Damascus (Acts 9:3-6; 1 Corinthians 15:8). Furthermore, beyond post-mortem appearances in our New Testament, nine early and independent sources testify to the disciples’ proclamation that Jesus rose from the dead and that he appeared to them: Mark, Matthew, Luke, John, Acts, Paul, Clement of Rome, Polycarp, and Josephus Flavius. Of these nine early sources two of them are very early: Paul’s creed (1 Cor. 15:3-8), and early Christian preaching (Acts 2). The evidence is quite compelling and is a difficulty that the skeptical historian needs to explain away if he so chooses to go with the HH. This diversity of appearances, according to commentator Habermas, amounts to one of “several fatal objections” to the HH. Scholar Wallace explains that “If single individuals had been described, then perhaps a vision would be possible. But visions normally aren’t group affairs, and too many of the appearances involve groups” (10). On a same note clinical psychologist Gary Collins says that “Hallucinations are individual occurrences. By their very nature only one person can see a given hallucination at a time. They certainly are not something which can be seen by a group of people… Since an hallucination exists only in this subjective, personal sense, it is obvious that others cannot witness it” (11). Firstly, for Leonard Zusne and Warren Jones, or anyone else, to assume that there is a naturalistic explanation for these sightings before undergoing investigation begs the question. Such sightings may in fact be genuine supernatural encounters, or alternatively perhaps the groups of people are indeed being deceived. Either way, any good investigator ought to be open to either explanation based on further evidence. In critique of the possibility of group hallucinations historian & Professor Licona says that: “The most current research shows that there are a number of modes in which people area prone to experience hallucinations. A hallucination is something that you perceive with the natural senses that isn’t really there. So maybe you hear something or you see something, or you taste, smell something, or you feel you’re in motion, or you feel something is touching you. Usually you would experience these in a single mode, not a dual mode or a combination mode. The group most likely to experience hallucinations are senior adults bereaving the loss of a loved one, but even these only 7% of the experience a visual hallucination. Now, consider this. The reports we have of not one, not two, but to all of Jesus’ disciples experienced a visual appearance of Jesus. This is unthinkable in terms of what we know about hallucinations” (13). Habermas likewise agrees: “The group of people most likely to have a hallucination is senior adults bereaving the loss of a loved one – in 39 percent of the cases they sensed the presence of their loved one in the room. 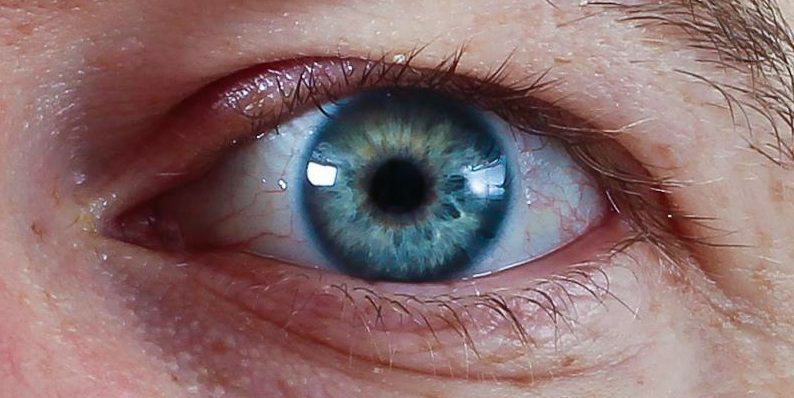 Only 7 percent have a visual perception of their loved one. In the group most vulnerable to hallucinations only 7 percent have a visual perception, so it is very rare and it is never shared. Therefore, since we know of no group hallucination ever occurring on record, it is extremely unlikely that one could account for the appearances of Jesus to groups of individuals, like the 12 disciples” (14). Since it is extremely unlikely that a group of people would hallucinate the same subjective projection it is probably more likely that these shared hallucinations are actually perceptual misinterpretations of reality, in other words an illusion. Now, to bring this closer to the home of our disciples, there is yet a further issue with the conditions needed to be met for an alleged group hallucination to even have a chance of occurring. Zusne & Jones claim that expectation and emotional excitement are pivotal roles for a group hallucination to occur (15). However, this is very much unlike our witnesses to Jesus’ post-mortem appearances. For instance, Jesus was the disciples’ leader, and friend, with whom they spent several years following and learning from. However, Jesus subsequently ends up dying a disgraceful death like a common criminal on a Roman cross. In fact, it would appear that they actually experienced the near opposite of what Zusne & Jones suggest of those who allegedly experienced the Virgin Mary. That Jesus is said to appear to 500 people at once is another detail that is in need of explanations for those who hold to the HH. The mentioning of Jesus’ appearances to the 500 is found within a creed that is dated to within three to five years of his death. It is also universally seen as authentic, Campenhausen explains that “This account meets all the demands of historical reliability that could possibly be made of such a text” (16). However, Ludemann having noted the authenticity of the creed tries to explain away the appearances to the 500 as “mass hysteria” (17). However, this fails on several grounds. 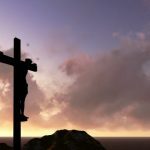 Firstly, former militant atheist, turned Christian, Lee Strobel, in the midst of his investigation of the resurrection, asked a medical expert on the possibility of 500 people witnessing the risen Jesus. This expert said that for a group of 500 people to witness the exact same hallucination of a raised Jesus would “be a bigger miracle than the resurrection itself!” (18). Well, how do we know that these 500 people saw the risen Jesus? We know this because of an early creed found in one of Paul’s authentic letters (1 Cor. 15:3-7,). This creed, as we noted, has been dated to within three to five years of Jesus’ death, and was already well known before Paul’s receiving of it. This is widely held by atheist (19), agnostic (20), and Christians scholars alike, as well as passes the necessary criterion for determining authenticity (21). The creed records that Peter, the twelve disciples, 500 witnesses, James, and lastly Paul had experiences where the risen Jesus appeared to them and thus convincing them that he had been raised from the dead. “Paul’s credibility was on the line with many false teachers in Corinth and so if these more than 500 could not be corroborated it would have greatly hurt Paul’s reputation” (22). “Paul’s tradition that 500 people saw Jesus at the same time has led some people to suggest that Jesus’ followers suffered mass hysteria. But mass hysteria does not explain the other traditions” (23). Similarly philosopher Craig explains “that while collective hallucinations do rarely occur, it is the diversity of all these different sorts of appearances that taxes the explanatory strength of the Hallucination Hypothesis” (24). The HH also appears to be explanatorily weak when we come to Jesus’ appearance to Paul. 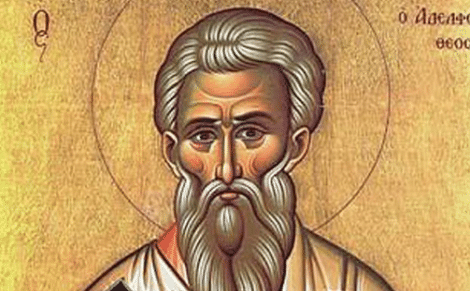 Paul, a former Jewish Pharisee, persecuted and executed Christians before his radical conversion to Christ’s cause (see his own admission: Gal 4:29, his killing of Stephen: Acts 7.57 to 8:1, his destruction of the early church: Acts 8:3) on the road to Damascus. 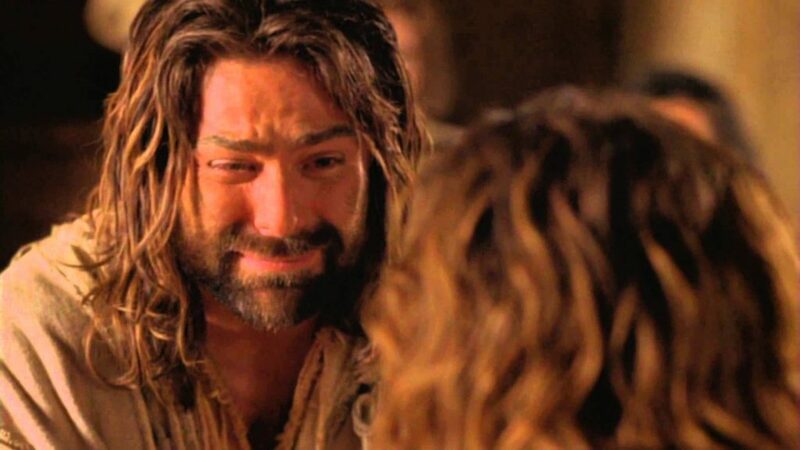 “Jewish Messianic expectations included no idea of a Davidic Messiah who, instead of throwing off Israel’s enemies and establishing David’s throne in Jerusalem, would be shamefully executed by them as a criminal. 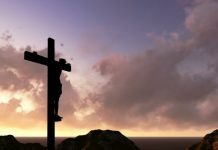 Jesus’ crucifixion was something the early church struggled to overcome, not something it invented. Jesus’ crucifixion is one datum upon which all historical scholars, even the most radical, agree” (25). Further, some have gone to great lengths to explain Paul’s dramatic conversion away even though he had no predisposition to hallucinate a risen Jesus. Jesus, who was the very reason for the blasphemous early Christian proclamation, was the last person that Paul would have wanted to see. One historian has argued that Paul was overwhelmed by a guilt complex that caused his hallucination of Jesus and thus his conversion. This is known as conversion disorder. But this now dabbles into the realms of psychoanalysis, and undergoing such analysis on historical figures is difficult. Even in a one-on-one situation to psychoanalyse a fellow human is no easy feat since it takes a great deal of time, effort and trust between two parties. With that in mind we don’t have sufficient data to perform any psychoanalysis on Paul since what we have from him are a few autobiographical passages in his letters. Thirdly, this argument is not based on evidence since we have no indication in our texts that Paul had any inner conflict, doubt, or guilt concerning his prior rejection of Jesus’ teachings. 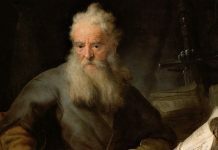 Paul, evidently, was quite content, and determined, to crush the early Christian movement. This puts the conversion disorder argument into the realms of conjecture instead of being evidence based. Scholar Hengel writes that our “sources are far too limited for such psychologizing analyses” (26). Fourthly, Paul is a poor candidate for this disorder since research suggests that it occurs mostly in adolescents, young adults and women, as well as in less-educated people, and people with lower IQ’s (27). Paul was certainly no adolescent, he was also man, and well educated (Acts 22:3). Fifthly, to hold that Paul underwent conversion disorder and hallucinations stretches credulity since these characteristics are uncommon (28). 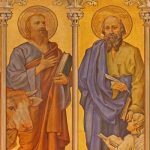 We already saw that Paul is an unlikely candidate for conversion disorder and that he was certainly not predisposed to hallucinate a risen Jesus. To hold both of these simultaneously stretches credulity. For these several reasons Paul remains a staunch obstacle to those proposing the HH. That all these different elements would come together in support of the HH is simply too unlikely. James is another obstacle in road for proponents of the HH. Like Paul, James was not in the position to hallucinate a risen Jesus. Several reasons strongly suggest this. Firstly, James was a skeptic and did not believe in Jesus’ self-proclamation and message. Several lines of evidence suggest this as we see this rejection in Mark (3:21; 6:2-4, 6) and John (7:5; 19:25-27). This passes the criterion of multiple & independent attestation by being attested in at least two independent sources. The atheist historian Ludemann confirms that “James had no religious link with his brother during Jesus’ lifetime” (29). Theologian Price agrees that “James didn’t believe in his brother during Jesus’ earthly ministry” (30). However, later we read that, after Jesus had appeared to James, James is part of the early church as a Christ follower (Acts 1.14). Later he becomes a prominent leader of the early church in Jerusalem (Acts 12.17; Gal. 1.19). As a result of this James is later martyred via stoning as the 1st century historian Josephus Flavius attests to. The best explanation is that Jesus had appeared to him as Paul had informs us within his early creed (1 Cor. 15:7). Even the atheist historian Gerd Ludemann claims that Jesus appeared to James thus convincing him is historically certain (31). As a result of James initial unbelief this strongly suggests that he was not predisposed to believe in the risen Jesus. That Jesus appears to him (1 Cor. 15: 3-7) convincing James of his resurrection remains a thorn in the flesh for those propounding the HH. A further detail that demands an explanation is the transformation of the lives of the disciples, Peter, Paul, and James. No rational minded person willingly suffers, and ends up martyred, for a hallucination. 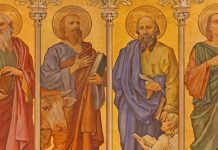 Like William Craig already explained that if the disciples, Peter, Paul and James had, via some very unlikely means, all hallucinated a risen Jesus this would have confirm for them that he had actually died and ascended to heaven. No sane person suffers and willingly dies for a hallucination. The timeframe of the hallucinations. If the disciples, Peter, Paul and James, as well as the 500, all had hallucinations of the risen Jesus then why did it only last 40 days? Why did the resurrection “hallucinations” only occur in that time and not afterwards? Why didn’t these hallucinations continue to spread to other believers? Finally, we shall review the HH in contrast to the Resurrection Hypothesis (RH) via one of McCullagh’s criterion, that of explanatory scope. This should be done in order to determine the best explanation of the facts (32). We have already noted that the HH is explanatorily weak since it fails to take into account the empty tomb, and only attempts to explain the post-mortem appearances of Jesus to his disciples, Peter, Paul, James, and the 500 others alike. We also saw that James & Paul certainly had no predisposition that would bring on their witnessing of a risen Jesus, especially since they were both staunch unbelievers, and one was, in fact, an enemy. Thirdly, it was also totally un-Jewish to proclaim a risen Jesus when there was a) no Jewish belief in a resurrection in the middle of history and b) that such a resurrection involved just one individual (Jesus) as opposed to the Jewish belief that everyone would be resurrected on the last day before judgment. That James, Paul, Peter and the disciples would preach such a message was un-Jewish and the best explanation for their radical conversions would be what Paul tells us that it was: that the risen Jesus appeared to him and the others. It is also highly, highly improbable that over 500 people, as Paul noted, had a hallucination and shared the same vision of a risen Jesus. Further, the unanimous agreement of our gospels on the physicality of Jesus’ resurrected body defies the HH since subjective hallucinations are not physical in nature. Lastly, the HH fails to explain the diversity of the resurrection appearances to the disciples, the women, Paul, James and 500 others on many different occasions under various circumstances. In short, the HH is explanatorily deficient in at least seven major areas. Yet, how does the Resurrection Hypothesis stand as regards to an explanation of the historical data? It stands up well for the simple reason that it explains the empty tomb, the un-Jewishness of the proclamation of a risen Messiah, the radical conversions of James and Paul, the transformation of the fearful disciples to those willing to die and suffer for their proclamation, the appearance to the 500, the diversity of the appearances to many people on separate occasions, and the physicality of the post-mortem appearances in our gospel traditions. It also does not require us to hold to a highly improbable theory of mass hallucinations, or that somehow all these many individuals hallucinated a risen Jesus at the same and different times. Therefore, we can conclude that the RH simply fits the data better than the rival HH. “In the end, the historical evidence is, at the very least, troubling to a materialistic worldview. C.S. Lewis had an atheist colleague at Oxford who once confessed to him that the evidence for the resurrection was actually very good. Indeed it is” (33). 1. Marcus Borg quoted by Chris Bryan in The Resurrection of the Messiah (2011). p. 161. 2. Howell, M & Prevenier, W. 2001. From Reliable Sources: An Introduction to Historical Methods. 3. Habermas, G. 2012. The Minimal Facts Approach to the Resurrection of Jesus: The Role of Methodology as a Crucial Component in Establishing Historicity. Available. 4. See, Matthew 28:11-15, Justin Martyr’s Dialogue with Trypho, 108. Tertullian’s On Spectacles, 30. 5. Habermas, G. 2001. Explaining Away Jesus’ Resurrection: The Recent Revival of Hallucination Theories. Available. 6. Craig, W. 2008. Reasonable Faith. p. 383. 7. Allison, D. 2005. 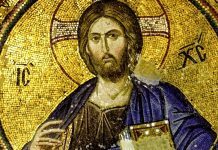 Resurrecting Jesus: The Earliest Christian Tradition and Its Interpreters. p. 283-284. 8. Craig, W. 2010. On Guard p. 255. 9. Price, C. 2015. Resurrection: Making Sense of Historical Data. Available. 10. Wallace, D. & Bock, D. 2007. Dethroning Jesus. p. 189. 11. Gary Habermas personal correspondence with Gary Collins (21 February, 1977). 12. Zusne, L. & Jones, W. 1982. Anomalistic Psychology: A Study of Extraordinary Phenomena of Behavior and Experience. p. 135–136. 13. Licona, Mike. 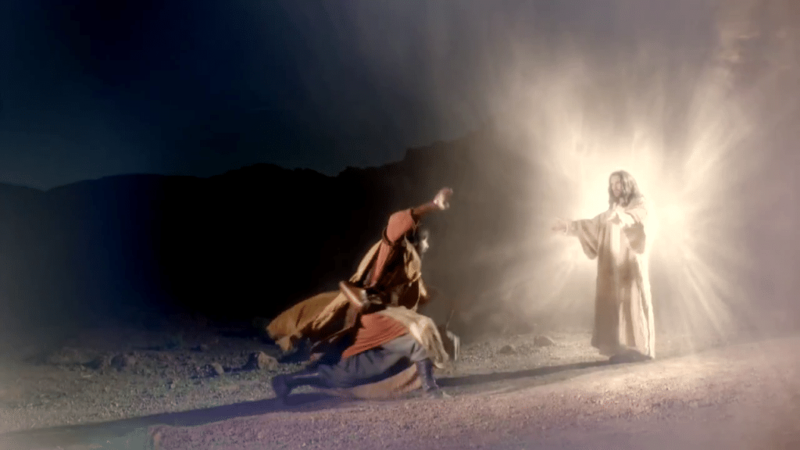 Top 10 Myths About Jesus’ Resurrection (video #4). Available. 14. 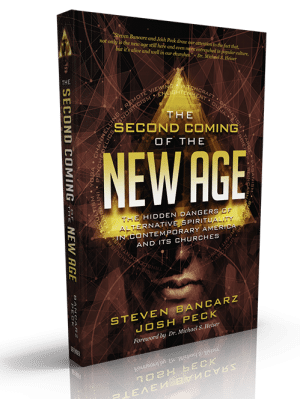 See: The Risen Jesus & Future Hope or Did the Resurrection happen? Study. 15. Zusne, L. & Jones, W. 1982. Ibid. p. 135. 16. Campenhausen, H. 1968. 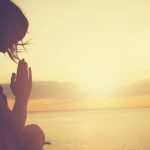 Tradition and Life in the Church. p. 44. 17. Johnson, J. Were the Resurrection Appearances Hallucinations? Some Psychiatric I and Psychological Considerations. p. 229. Available. 18. Strobel, L. 1997. God’s Outrageous Claims: Discover What They Mean for You. p. 215. 21. Campenhausen, H. 1968. Ibid. 22. Wallace, D. 2015. Fact Checking Dan Barker From our Recent Debate. Available. 24. Craig, W. Visions of Jesus: A Critical Assessment of Gerd Lüdemann’s Hallucination Hypothesis. 25. Craig, W. 2012. Stephen Law on the Non-existence of Jesus of Nazareth. Available. 26. Hengel, M. & Schwemer, A 1997. Paul between Damascus and Antioch. p. 342. 27. Kaplan, H., Sadock, B. & Grebb, J. 1994. Synopsis of Psychiatry, Seventh ed. p. 621. 28. Kaplan, H., Sadock, B. & Grebb, J. 1994. Ibid. p. 621-622. 29. Ludemann, G. 1994. The Resurrection of Jesus: History, Experience, Theology. p. 109. 30. Price. C. 2015. Ibid. 31. Ludemann, G. 1994. Ibid. p. 109. 32. McCullagh, C. 1984. Justifying Historical Descriptions. p. 19. 33. Pastor Matt. 2013. The Five Common Objections to the Historicity of the Resurrection of Jesus. Available. Was The Genesis Creation Story Stolen From Babylonian Myths?